Long a thrift shop staple, Walter Keane’s “waif” paintings of young girls with large, sorrowful eyes were a sensation in the 1950s and ’60s. In the film Big Eyes (out December 25), director Tim Burton dramatizes Keane’s masterful con job. In 1970, his ex-wife, Margaret, claimed she’d painted all of the famous works, triggering a controversy that resulted in a courtroom challenge: A judge asked Walter and Margaret (played by Christoph Waltz and Amy Adams in the movie) to paint side by side. Walter refused, while Margaret produced a doe-eyed masterpiece in less than an hour. 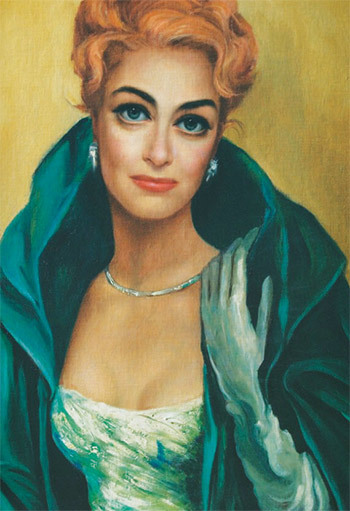 Before the couple’s creative struggles became public, star patrons such as Jerry Lewis, Natalie Wood, and Joan Crawford hired the Northern California-based pair for their distinctive portraiture style. “The Keanes used Hollywood to call attention to their enterprise,” says screenwriter Scott Alexander, who cowrote Big Eyes with Larry Karaszewski and scripted Burton’s Ed Wood biopic. 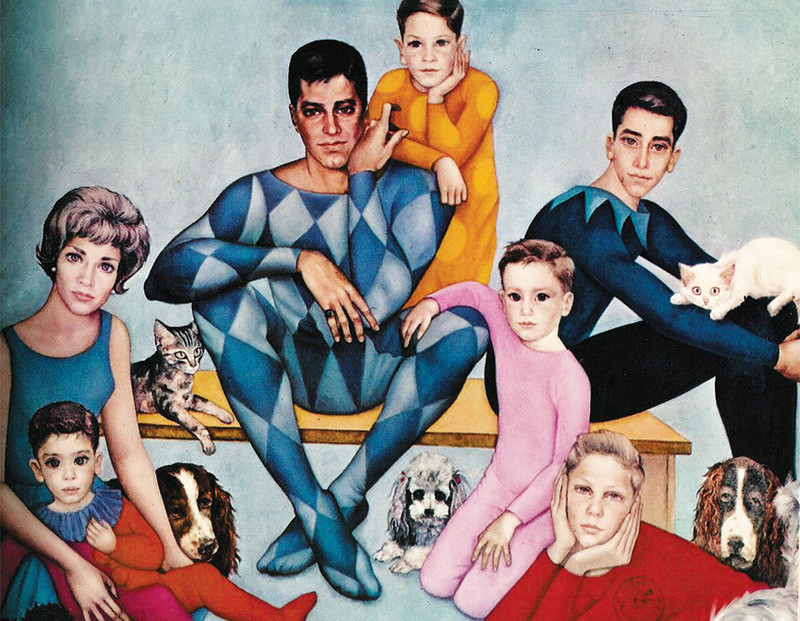 “Now, 50 years later, Hollywood has come back to call attention to the Keanes.” Here are a few examples of their oddball celebrity artwork and the stories behind them. The actress “sneaked two Keanes into her movie What Ever Happened to Baby Jane?,” says Alexander. “They’re hanging on the walls of the scary house.” Crawford also posed in front of her Keane portrait for the cover of her 1971 memoir, My Way of Life. Margaret painted the starlet twice. During the sittings, several wire service photos were taken, including one of Walter pretending to paint Wood as she posed by a pool. The screenwriters later discovered that the photo released by the wire service had been altered: Walter had cropped out Margaret.